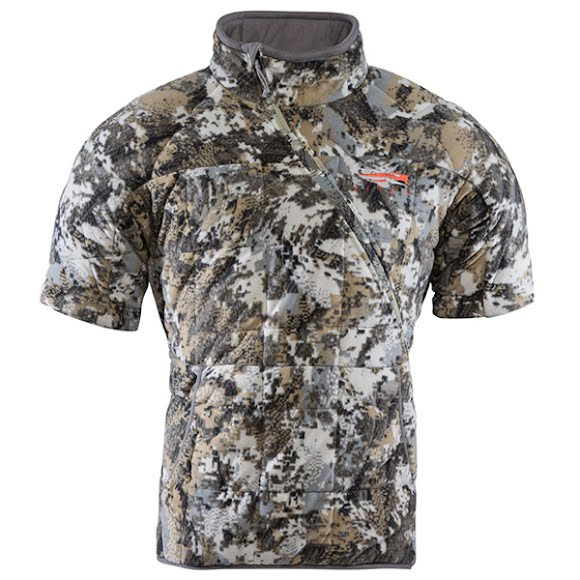 The Sitka Celsius Shacket takes the concept of body-mapping to the extreme, giving you the insulation you need, only where you need it. A first-of-its-kind construction incorporates a diagonal full-length zipper and built-in front hand muff with short sleeves that leave zero bulk on your forearms, completely eliminating string contact. Quilted construction and quiet zipper pulls suppress noise.